Carhartt teamed up with Junya Watanabe’s eYe line to create this spectacular winter blazer for the fall 2009 line. Made of heavy-duty canvas by Carhartt and featuring great design work by Watanabe, this blazer is the perfect addition to your winter wardrobe. 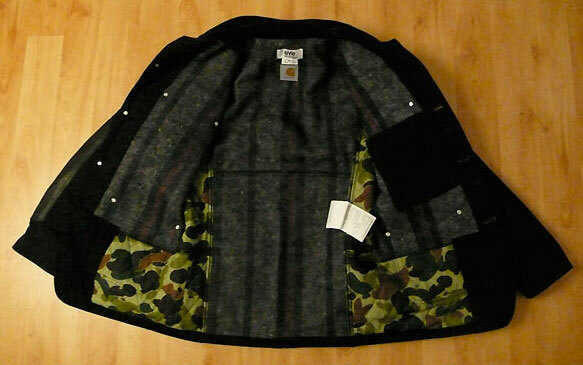 Check out Watanabe’s eye for detail, which includes military-styled brass buttons and a wild camo-inspired lining.